Traditionally the biggest month in the mobile phone calendar because of the Mobile World Congress show, February 2004 and 2009 saw a plethora of devices, but how many do we still remember five and ten years on? One of Nokia's well-loved "Brick" Communicators, the Nokia 9500 Communicator smartphone unfolded to reveal a wide 4.5" screen and a full QWERTY keyboard plus WiFi support in what was essentially a very tiny laptop computer. However, weighing in at 230 grams and commanding a serious price tag, the 9500 was certainly not to everybody's tastes. Much rarer than the Nokia 9500 but with a similar concept, the Motorola MPx300 (or just plain "Motorola MPx") was a Windows smartphone with a clever two-way hinge which meant that it could be used either in QWERTY keyboard mode or as a more traditional clamshell. Technical problems meant that the MPx300 only sold in very small quantities, and as a result it's one of the rarest Motorola phones that we know of. Another attempt at a Windows smartphone was the Motorola MPx100 which was in a very traditional format and would have competed directly against many of Nokia's similar Symbian smartphones, but it was cancelled before launch. 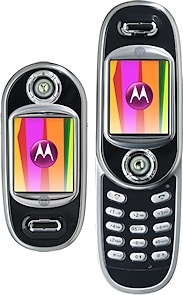 Back in 2004 Motorola were continually looking for new styles of device, and the Motorola V80 was a high-end and very unusual rotating phone. 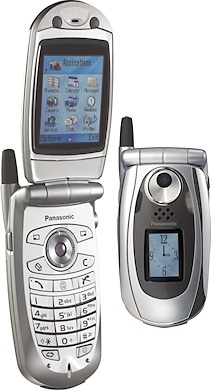 Panasonic was also trying to carve a niche in the smartphone market with the Symbian-based Panasonic X700, but Panasonic were becoming increasingly outclassed and it certainly showed from the X700's modest specifications. Another Japanese clamshell, the Sharp GX30 was a very advanced feature phone for its time with a 1.1 megapixel camera, QVGA display, Bluetooth, expandable memory and an MP3 player. In 2009 HTC was the company to watch with a growing variety of attractive and well-regarded Windows and Android devices. The HTC Touch Diamond2 was an attractive and powerful Windows handset, but even with highly competent smartphones such as this it seemed that Windows couldn't see off Android, in this case in the guise of the HTC Dream and HTC Magic, two first generation Android devices that lacked the polish of the Touch Diamond2 but ultimately led Android's charge to become the world's leading smartphone OS. While companies such as HTC had fully committed to the sort of touchscreen devices that we would recognise as being a smartphone today, Nokia was still doing its own thing with a range of Symbian devices that seemed to misjudge the market. 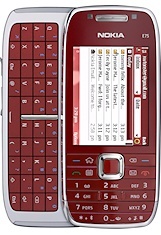 The Nokia N86 8MP came with an 8 megapixel camera, FM radio, GPS, WiFi and 3.5G support.. but no touchscreen. 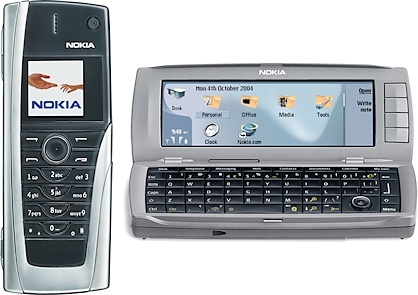 The Nokia E75 had a slide-out QWERTY keyboard and the Nokia E55 had a BlackBerry Pearl style keyboard, rather ignoring the rapid growth of devices with an on-screen keyboard instead. 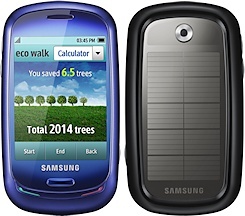 February 2009 was a disappointing year for many Nokia fans who hoped for something better. The Samsung Omnia HD smartphone is the only "Omnia" phone to run Symbian (the rest ran Windows), and it wasn't really an HD device either although it did sport a 3.7" 360 x 640 pixel touchscreen and 8 megapixel camera. Samsung also tried to attract music fans with the touchscreen Samsung BEAT DJ feature phone - but despite an impressive amount of effort and a lot of press buzz, the BEAT DJ quickly sank into obscurity. Sony Ericsson was also trying to impress with touchscreen Symbian devices, and the Sony Ericsson Idou (later released as the Satio) had a slightly smaller display than the Samsung but it came with a 12.1 megapixel camera that was something that most rivals couldn't even get close to. A more conventional device was the Sony Ericsson W995, a high-end "Walkman" addition to what was by then an overstuffed product line-up. Launched in a fanfare of publicity and dubbed an "iPhone killer" at the time, the LG ARENA KM900 has a lot of nice features but consumers were not really interested. A rather more off-the-wall and radical idea was the LG Crystal GD900 which not only sported a touchscreen, but had a transparent slide-out keypad which was also touch sensitive, a device with plenty of "wow factor" it was also something of a dead-end. Toshiba are well-known for Windows laptops, but they could never quite translate that success to Windows phones. 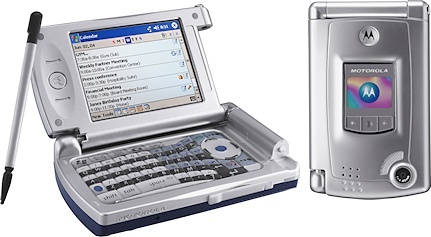 The Toshiba TG01 was fast, had a big high-resolution display and it was attractively designed, but it wasn't a success, perhaps due in part to the inclusion of a resistive screen rather than a capacitive one, the large footprint and the declining popularity of Windows Mobile. A completely different approach to any other phone ever, the modu range combined a very tiny phone with a collection of multifunction jackets that could extend the function of the device. 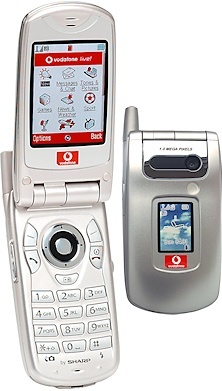 But cleverness is no substitute for understanding the market and when the modu range finally came to market, the market largely ignored it.. which of course means that these are rare and very collectible handsets today. Also on the tiny side, the almost disposable Hyundai Mobile MB-105 Chico cost just $20 or so and was smaller than a credit card, and despite its limited functionality it was at least a lot cheaper to drop in a puddle than an iPhone.